A great look. 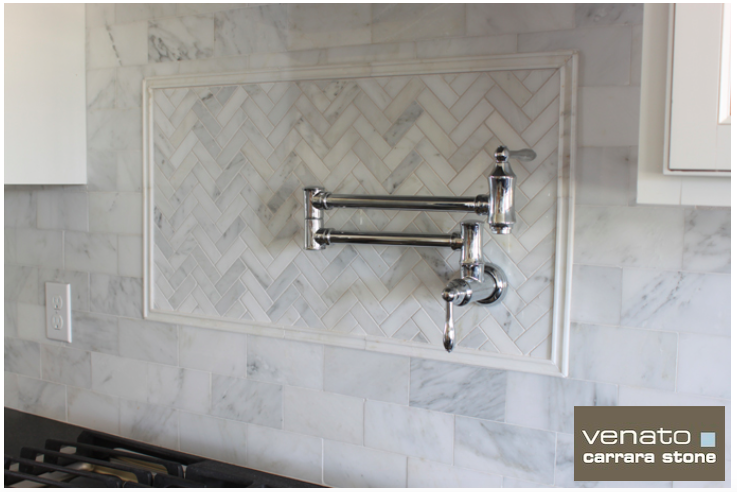 Use Carrara Venato 1×3″ Herringbone and a 4×8″ subway tile. This is a great idea, if going with the bigger Herringbone instead of the 1×2″ Herringbone then choose the slightly bigger subway tile the 4×8″ subway tile. 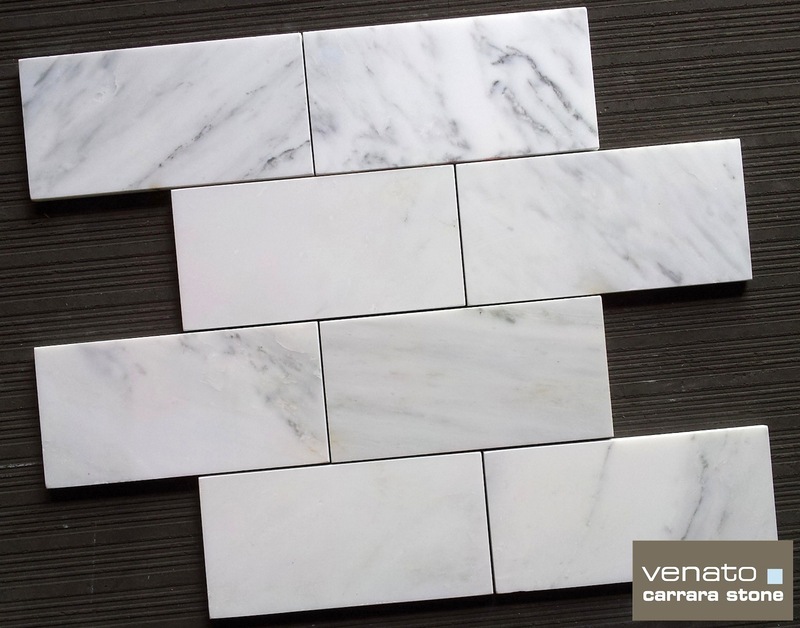 Creating a look with less grout lines. 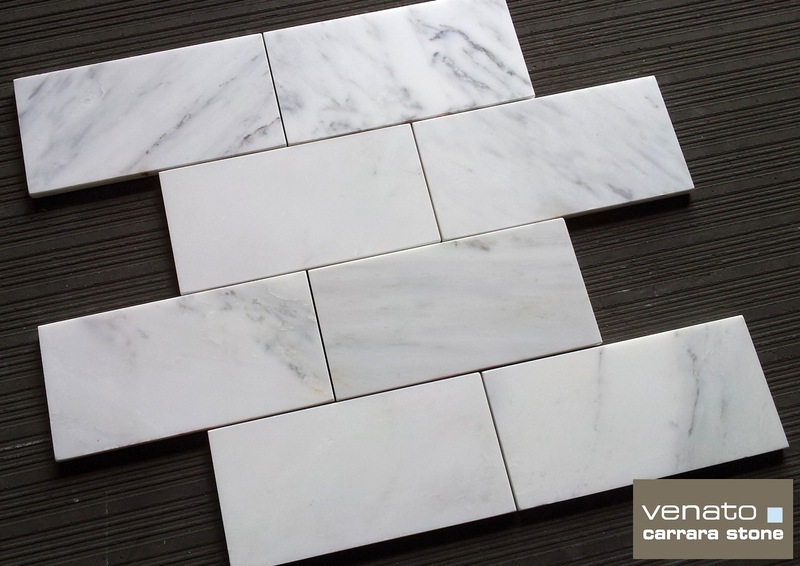 Carrara Venato 1×3″ Herringbone Honed Mosaic Tile just $11.45 a square foot. 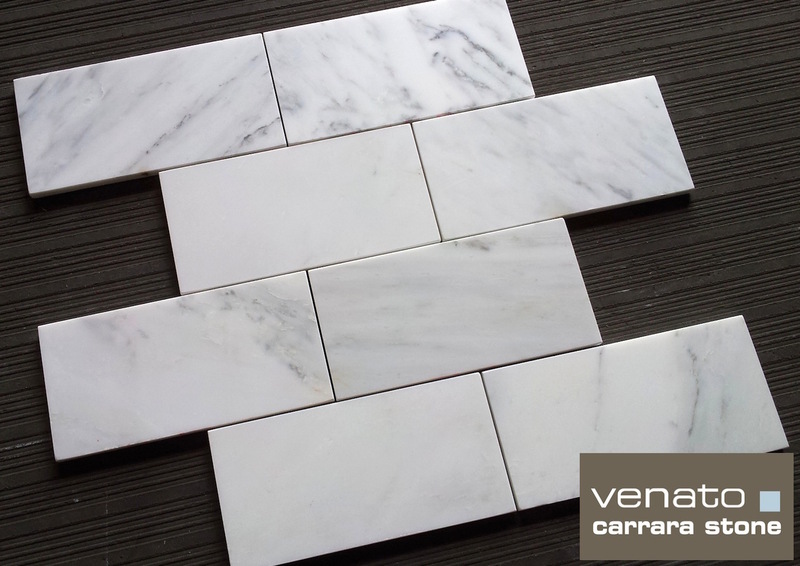 Carrara Venato; probably the whitest based Carrara marble in the world.